Over a quarter of UK companies look for a Duke of Edinburgh Award in applications for a job, above any other recognition programme. This project extends the benefits of the scheme to those who might not otherwise be able to take part. This might be for financial reasons, or because of disability or injury. 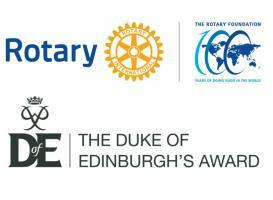 The aim is to involve 60 school pupils aged between 14 -16 in the Duke of Edinburgh Bronze Award. Funding will be divided equally between the six Areas with, ideally, ten participants in each Area identified by sponsoring Rotary Clubs. 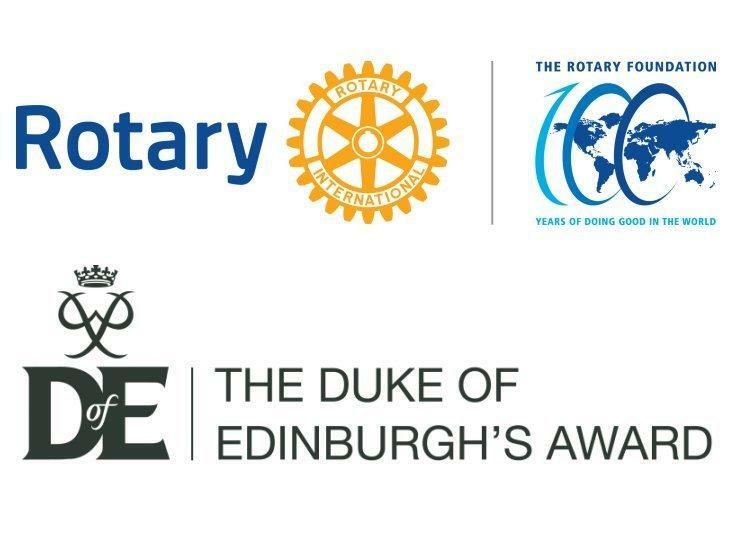 The Duke of Edinburgh Award Scotland [DoE] have provided a list of Centres or Schools with the necessary range of resources to manage students with physical or other needs in each of the six Areas within our District. The DoE is setting up a Liaison and Training Team so that the programme can be delivered within District. This team will supply equipment for the candidates and all the training for their Expedition. The monetary cost of the project, after the training cost, is relatively low but the courses rely on the personal involvement of Rotarians as mentors and helpers. a) Identifying members with the necessary skills to assist the local DoE team in steering participants through their Award scheme. b) Providing 2/3 volunteers from each Club sponsoring a participant to act as mentors from the outset. This will help to ensure that the participant(s) complete their Award scheme. c) Identifying local opportunities for the “volunteering” part of the Award scheme to be undertaken by each participant. d) Recruiting members to help provide transport for participants. e) Raising awareness of the 4 sections (5 at Gold) which comprise the D of E scheme. Almost all participants will be aware of the Expedition (as the highly visible section of the scheme), but may be unaware of the requirement to undertake a potentially lengthy involvement in the Skill, Physical and Volunteering Sections as well. Rotarians who may baulk at the idea of heading up the nearest hill with a group of fit youngsters may find involvement with supporting youngsters through a Skill, Physical Activity or Volunteering Activity much more suited to their own personal strengths and interests. This is an opportunity for Rotarians to help deliver life changing opportunities to young people and in doing so celebrate the Centenary of the Rotary Foundation. 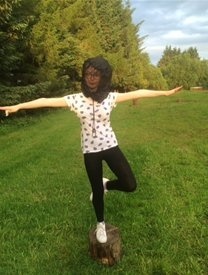 Starr, 15, from Airdrie, recently completed her Bronze DofE Award. She was part of the Community Alternatives DoE group which is part of North Lanarkshire Council Social Work. Starr is currently in a Kinship Care placement because her parents passed away when she was young. She’s faced big challenges in life, but DofE is helping her to learn that as long as she makes a start on a goal, there’s a possibility she can achieve it. 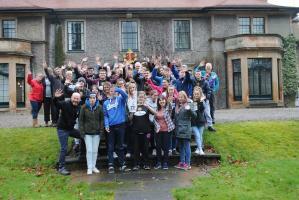 “I didn’t know what DofE was before my social worker said it was something I could do. It wasn’t offered at my school. I didn’t like it at first because I didn’t know anyone in the group and I didn’t think I could do it all. After I got to know people it wasn’t so bad. I got to do things I didn’t ever think I would like kayaking and camping. Doing my DofE got me out of the house too. For my Volunteering I helped at a food bank. It was good to get out and be a part of something like that. I like helping people. If I saw a homeless person in the street I’d give him my last pound. At the food bank I got to help people who didn’t have anything. Doing my DofE showed me I can finish things I didn’t know I could. We did teambuilding activities and one of them was going into a hut in the dark. I’m claustrophobic and so that was really hard, but I still did it. I got through camping too. I never thought I’d like it, but doing it with the group wasn’t bad. We all became better friends because we did it and helped each other.